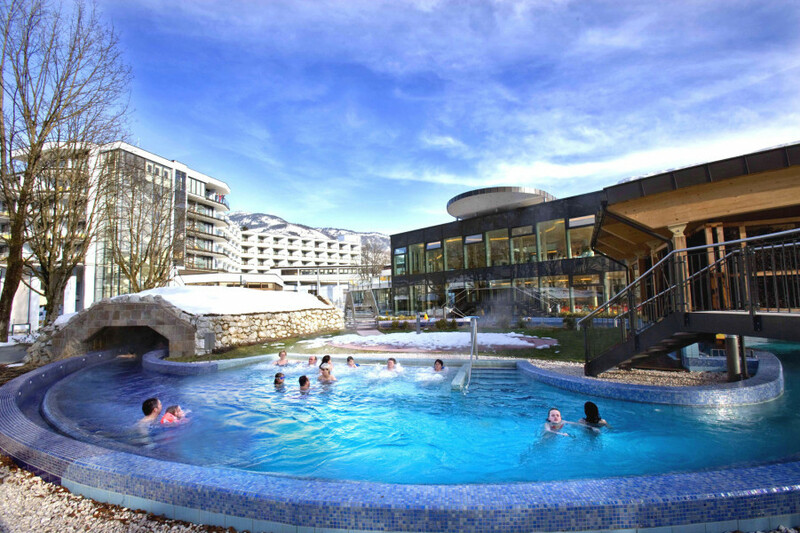 Salzkammergut thermal spa Bad Ischl is among the 3 best rated Spas in Austria. 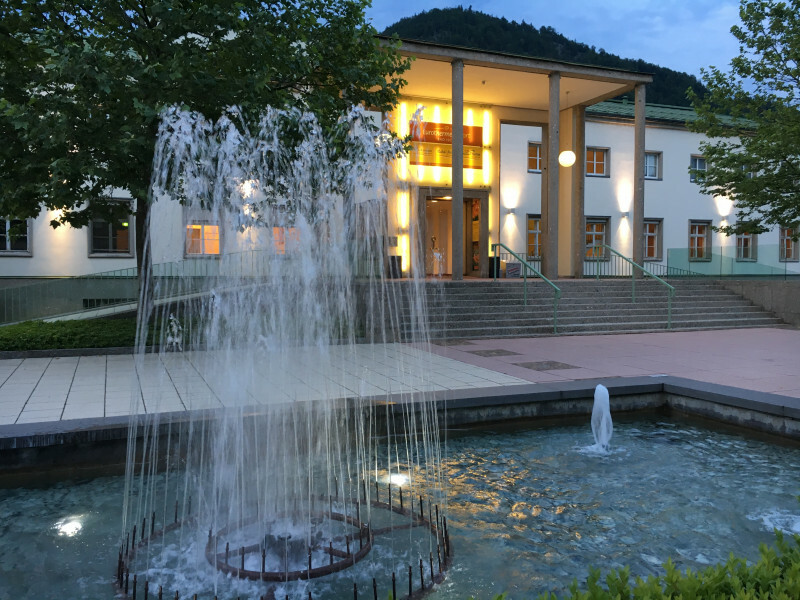 Offering 4 pools and 4 saunas, Salzkammergut thermal spa Bad Ischl is among the 10 largest Spas in Austria. The nearby parking lot offers enough space for your car. Meals and drinks are provided thanks to a nearby restaurant. 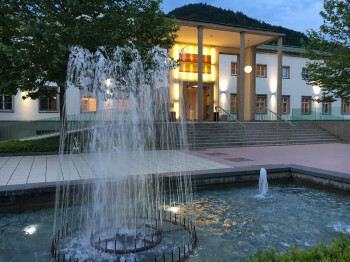 In the heart of the Emperor's town of Bad Ischl in Upper Austria, visitors can enjoy the warm soothing waters of the Salzkammergut Therme, which is open until midnight every day. 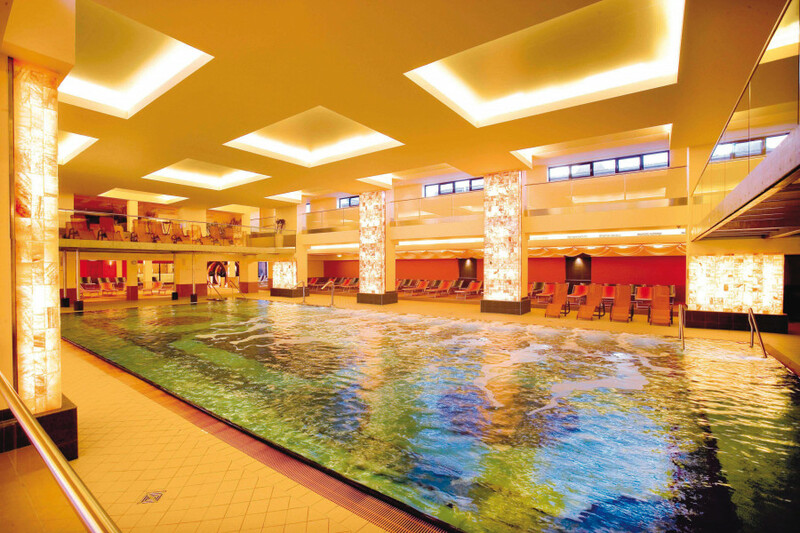 It’s part of a large leisure centre complex which also includes a sauna centre (Relaxium), therapy area (Physikarium) as well as a four-star hotel. The leisure centre is spread across a large indoor and outdoor area, with the theme of salt and brine featuring time and again. 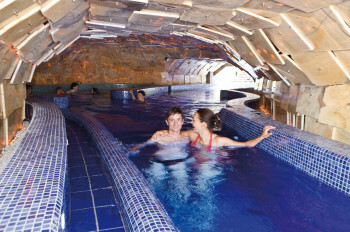 As a result, the large brine pool (34°C) and brine whirlpool (35°C) feature prominently in the indoor area. 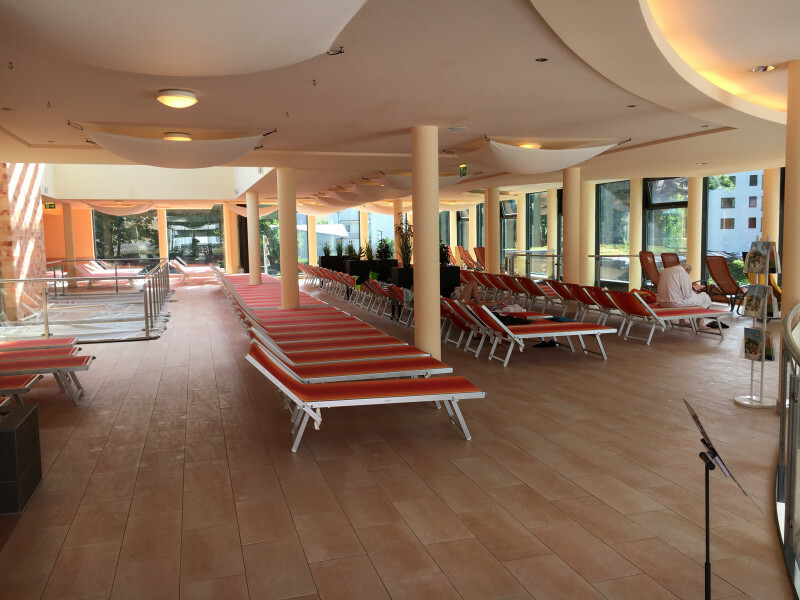 The "Lazy River" is one of the top highlights outside, alongside the newly opened outdoor pool. The former is a sort of outdoor river, completely unique in its form in Austria. Swimmers can allow themselves to be taken along in the light current and visit one of four wellness stations along the way. In a salt grotto, visitors can look forward to massage seats and illuminated onyx stones, or reclining on bubbling loungers and enjoy the mountains surrounding the town. Another station features bubble jets to massage the skin, while the final station invites guests to sunbathe on the pebble beach. There are also plenty of other areas to lie back and relax both indoors and outdoors in the rest of the spa. There’s a dedicated indoor and outdoor pool for youngsters to let off some steam and splash around, as well as a small slide to keep the little ones happy. The Restaurant Saliera is the go-to eatery for both meals and snacks here. In addition to salads and cakes, the buffet also features several warm dishes. The neighbouring four-star hotel "Royal" is also a great place to eat. Guests at this noble hotel receive free entry to the leisure centre. The Relaxium, the leisure centre’s dedicated sauna world, offers a wide range of options. The Emperor’s and Cottage saunas both reach temperatures of up to 90°C, while the sauna garden outside offers access to the Mine sauna, with temperatures here clocking in at up to 80°C. The Adit sauna is somewhat cooler at 60°C. 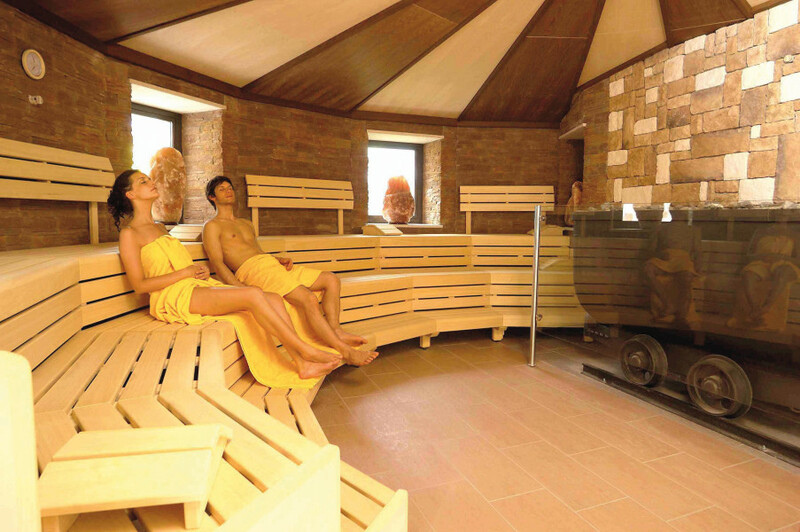 Visitors can also look forward to sweating in the high humidity of the stone bath and steam bath. In addition, there’s a brine inhalation grotto, infrared cabins, a Kneipp pool, a large brine pool, a whirlpool as well as a solarium. It goes without saying that there are also several relaxation areas with recliners for unwinding between sauna experiences. The Alhambra wellness oasis in the sauna centre is a truly oriental experience. Here, guests can take part in four-phase ceremonies several times a day on Fridays, Saturdays and public holidays. During the 2 1/2 hour ceremony, visitors experience the pleasures of warm sand (Sabbia-Med), a Turkish steam room, hammam massage and healing earth with peeling (Rasul). The Physikarium is the place to go if you’re looking for a wide range of beauty and massage treatments. These include several treatments for the face and body, all aimed at restoring your skin's natural glow. The massages also offer intense relaxation for body and mind, with treatments including a hot stone massage, Lomi Lomi Nui, a honey massage and a singing bowl massage. The Sisi massage using high-quality herb oil and Salt Prince massage with brine emulsion are among the most unique treatments on offer. 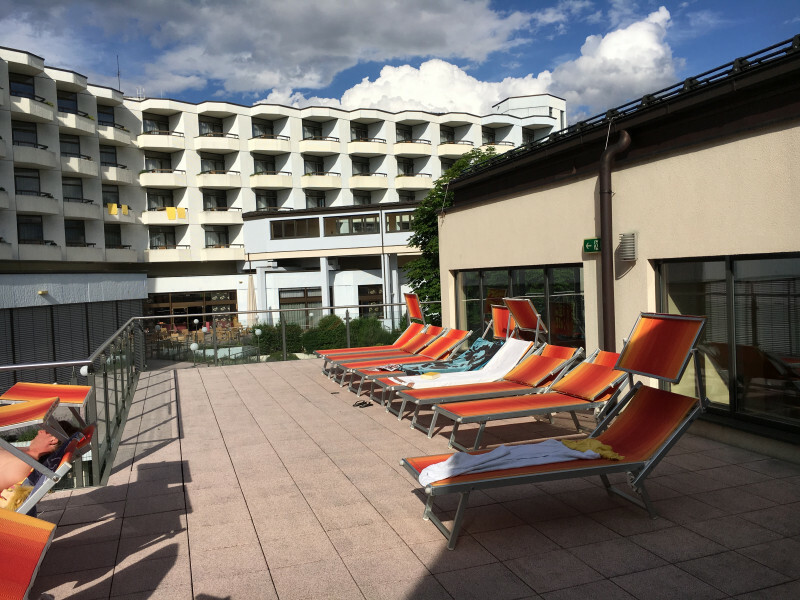 By car: The Salzkammergut Therme is located directly across from the train station in Bad Ischl and can therefore be easily reached by public transport. Drivers can also look forward to plenty of parking in front of the entrance. In addition, there’s a large parking garage serving all areas of the EurothermenResort.